Worldwide, Italian Cannoli is one of Italy’s most loved desserts. You can recreate our version of this Sicilian delicacy using a mix of creamy ricotta and dark chocolate – if you haven’t tried them before it will be like HEAVEN IN YOUR MOUTH! Combine ricotta, and sugar until sugar is dissolved and mixture is creamy. Add chocolate chips, reserving a few for decoration. 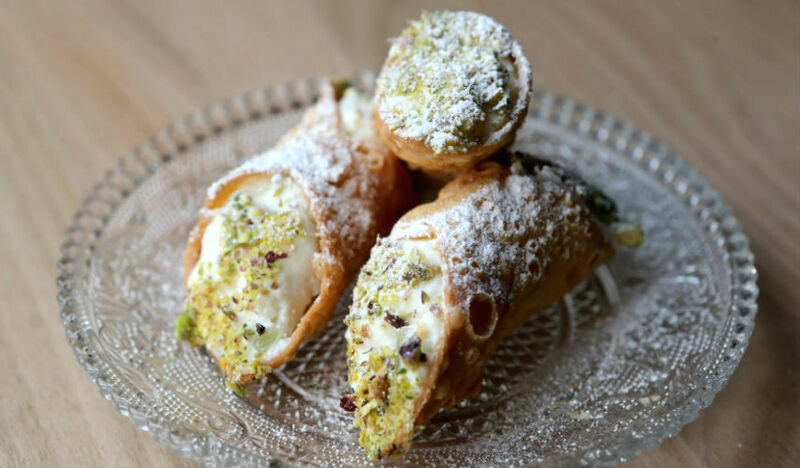 Using a piping bag or spoon, fill the Cannoli shells until slightly over full. Dip each end in the reserved chocolate chips to finish. Quick, easy and totally delish. Cannoli was a favorite in our house in New Jersey but have never seen them until now in any shops. Being able to buy the cannoli to fill is a plus!